The best digital camera under $300 is going to find us in the lower-end of the pricing spectrum yet still bring us some great quality pictures and videos to the table. 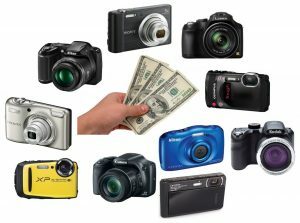 As we’ve surveyed many digital cameras (especially in our definitive camera guide) in the past and continue to do so for a lot of different types and applications, today we’re met with a specific price-point we hope can help you constrain your search as you sift through the many different models out there. In our picks, we made sure we found different styles, shapes, capabilities and overall functionality to try to appease most readers out there — all for $300 bucks or less. Let’s check them out. Nothing is more exciting than planning your next trip to the latest music festival. But what about being able to capture those everlasting memories to replay later? 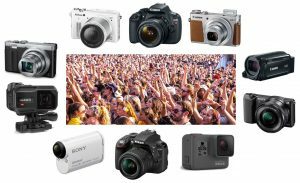 Cue the best cameras for music festivals. Although the very best for you will depend on a factors that we’ll go over, it all depends on the person and how exactly you want to save those amazing sets by your favorite artists in some of the most ecstatic environments ever. 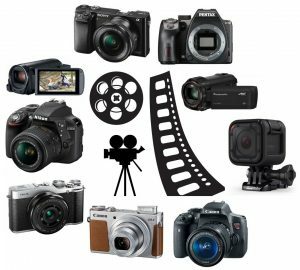 Do you want only a digital camera, or a video camera as well? What size? What’s your budget? We’ll go over these before we give you our picks, so let’s get the ball rolling. So you want to vlog? Grabbing best camera for vlogging (video blogging, if you will) allows you to broadcast those ideas of yours with push of a button, giving the internet world an inside look into your thoughts, feelings, beliefs and creative ability. Ever since YouTube came about, we’ve had the fortunate opportunity for everybody getting a chance to share their lives not only on social media but in video series’ as well. We’ve even seen people make millions of dollars as pro vloggers on their channels (who knows, you may be next — if you want to, that is)! 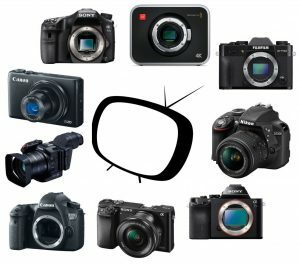 Today we wanted to refine our search to the best video cameras for vlogging to help you get started to make those video blog ideas into a reality. Let’s see what we’ve found.